Bill O'Reilly foolishly thought if he just bullied everyone into forgetting that he lies with regularity, he could move on with his plan to lie some more.Mother Jones just disabused him of that illusion. Ignacio Medrano-Carbo says he was the cameraman on O'Reilly's crew that night. Jim Forrest, the crew's sound man, confirms Medrano-Carbo was paired up with O'Reilly. "I worked with Ignacio during the surrender riots in Argentina during the Falklands war," Forrest says in an email. Medrano-Carbo certainly was shooting video in the middle of the tumult. A BBC documentary (at the 56:28 mark) captured him filming scenes that appeared in O'Reilly's report. Medrano-Carbo has sent the following statement to Mother Jones: "After a call from a cameraman friend, I watched Bill O'Reilly's report filed in 1982 from Buenos Aires for CBS during the Falkland War posted a few weeks ago on the Mother Jones web page." 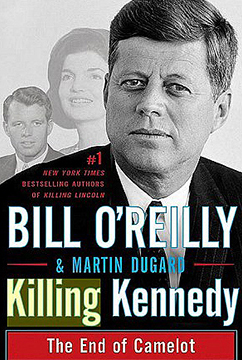 "The part that caught my attention was Mr. O'Reilly's claim that he helped his cameraman to safety who was bleeding out of his ear after he fell when chased by the army.Ninety-nine percent of the footage in that report was shot by me. Does that make me his cameraman? I never fell nor was I bleeding out my ear at any time during my Buenos Aires assignment. I do not even recall Mr. O'Reilly being near me when I shot all that footage nor after I left the unrest at Plaza de Mayo that evening. But it is not uncommon to be separated from your reporter during a disturbance such as that one." 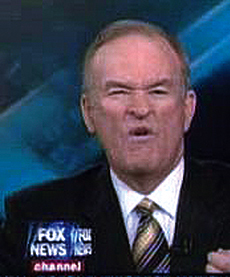 After this story was posted, O'Reilly told TheWrap, "I never worked with Ignacio Medrano-Carbo. This is nothing more than yet another coordinated attack which predictably comes on the heels of my appearance on The Late Show with David Letterman." In response, Medrano-Carbo tells Mother Jones, "I don't know what to say... Ninety-nine percent of that footage in his report was mine. How'd he get that footage, if I'm not his cameraman?...I have the footage to show." Medrano-Carbo shared with Mother Jones the raw footage he shot that night, and it does match the video in the report O'Reilly filed. He adds, "You can see me in the BBC report. Why would I lie? You used 99 percent of my stuff, and I'm not your cameraman? I certainly did not get beat up. You did not help me."